The snowpack across the Intermountain West might be slightly underwhelming this year, especially following the epic winter of 2016/17, but it’s not all bad news for the 2018 rafting season. 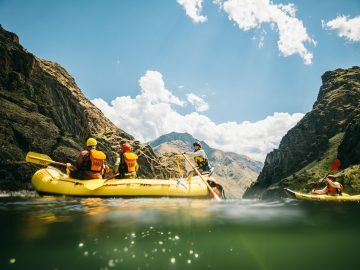 With the exception of a few areas where the snowpack is well-below average, paddlers can still expect a reliably good rafting season on many rivers throughout the West. This is the second year in a row that the Upper Green River Basin has had an above average snowpack. 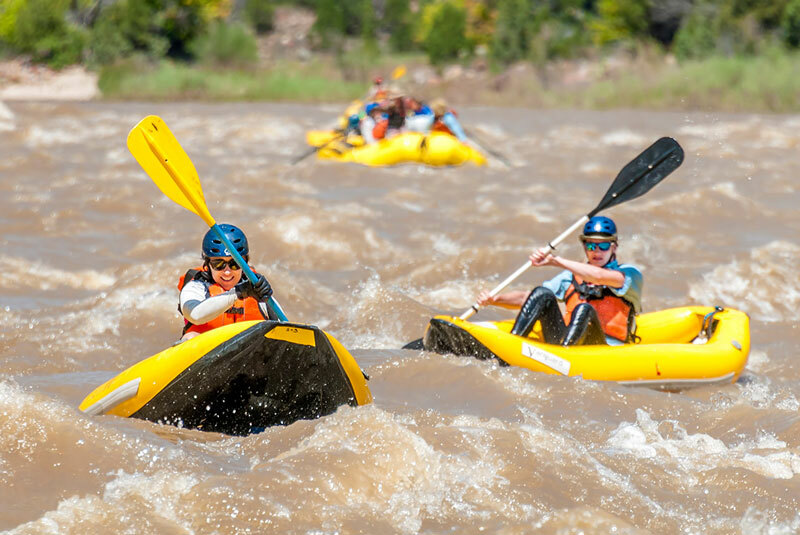 Similar to last year, it will be an exciting and long season for Gates of Lodore rafting trips in Dinosaur National Monument with fun whitewater conditions for guests and guides alike. Idaho’s snowpack is average to slightly above average across the state. While the 2017 season was often a case of too much water and unraftable conditions at times, this year flows on the Salmon River are expected to be in the “sweet spot.” Additionally, the dam-controlled Snake River will provide great flows for anyone who is looking for a big ride, even in August. 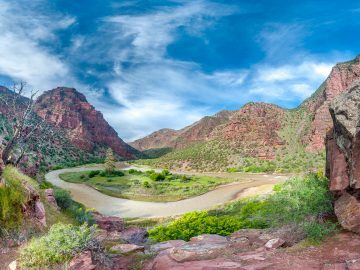 While the snowpack in the Colorado River Basin is slightly below average, and will mean lower flows in Cataract Canyon and Westwater Canyon this season, that’s not necessarily bad news. Overall, rafters can expect less stressful and more playful whitewater conditions compared to 2017, with the added bonus of better camping options earlier in the season. After extreme high-water conditions diverted and even cancelled some California rafting trips in 2017, whitewater favorites like the dam-controlled South Fork American, Middle Fork American and the Tuolumne River will return to more normal flows this year thanks to reliable recreational water releases from upstream reservoirs, which are at above average levels despite a snowpack that was half of average statewide. 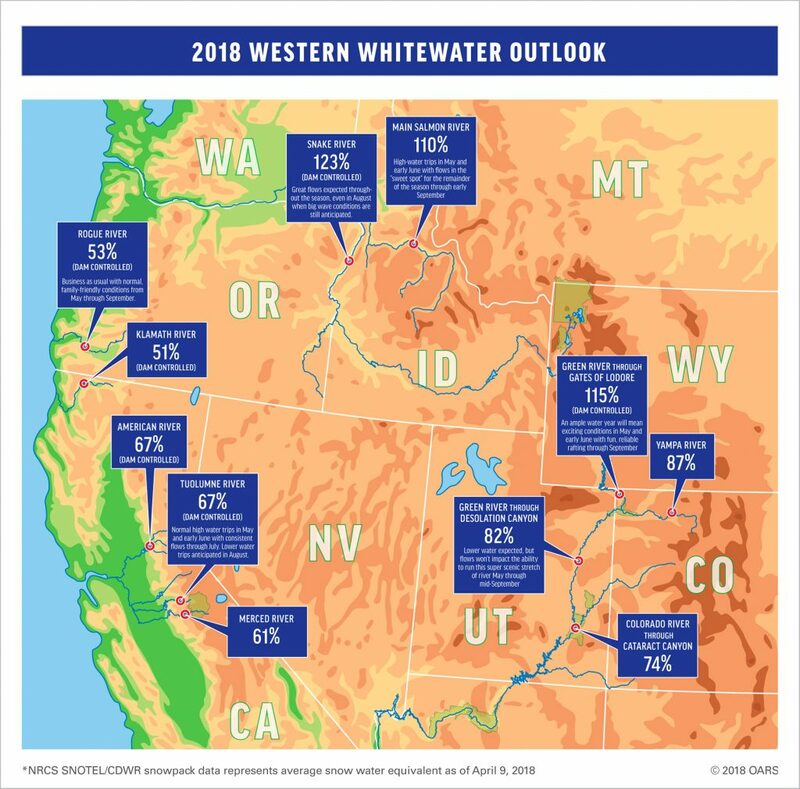 Idaho has received a consistently healthy snowpack across the state in recent years and this year is no different, which bodes well for whitewater trips on the Salmon and Snake Rivers. Current SNOTEL snow/precipitation data shows a snowpack that’s 106 percent of normal for the Salmon River Basin. 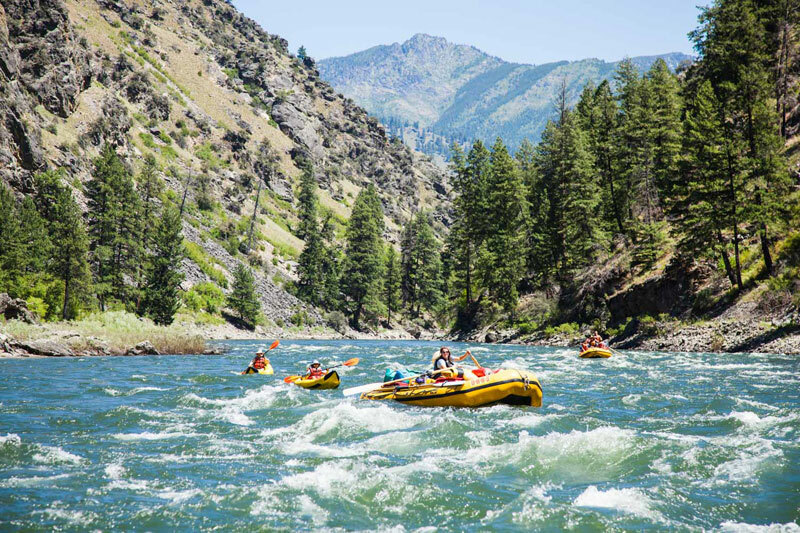 “Last year was a huge whitewater year—high enough to divert some of our launches—but this year it looks like we will be hitting the sweet spot,” reports OARS Idaho Manager, Curt Chang. For the Middle Fork of the Salmon River he adds, “Peak flow will probably hit between May 15 and June 10 and will likely be big fun, but cold through the high water window.” He adds that he expects elevated flows to last about three weeks. Chang anticipates a similar time table for the Main Salmon River, where flows will also be high early in the season but doesn’t expect any adverse effects for those early season trips, just big rides. “My early guess is 65,000 cfs peak flow in late May,” he says. Meanwhile, a normal season is expected on the Lower Salmon River with trips anticipated to run from late June through early September. In the Snake River Basin, the snowpack is at 123 percent of normal, and again, Chang is expecting great flows throughout the season. “The river is dam controlled so there are several high flow releases and there will likely be some trips with more water than others,” he says. “The Snake is a safe bet for any traveler who wants a big ride even in August,” he says. For the second year in a row, SNOTEL snow/precipitation data shows the Upper Green River Basin snowpack is above average. 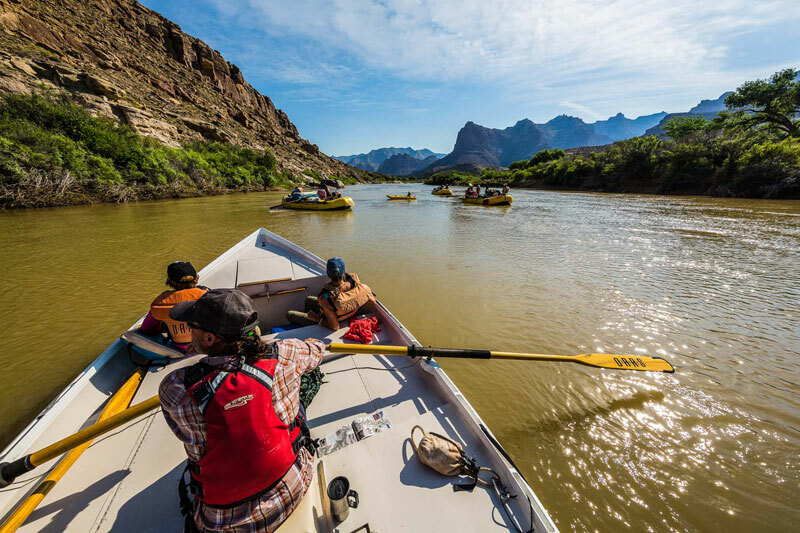 At 115 percent of normal, rafters are guaranteed excellent water conditions for Gates of Lodore trips in Dinosaur National Monument from May through early September. “With these elevated flows we expect bigger, exciting rolling waves,” says OARS Dinosaur Regional Manager, Nicole Lavoie. 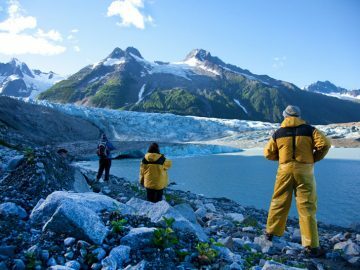 She adds that trips will be a bit more thrilling for both the guests and guides, yet even with more water it is still a family-friendly trip. Additionally, since trips will move a bit faster through the canyon, there will be more time for hiking and other fun activities like beach games. The news isn’t quite as positive for the Yampa River Basin where the snowpack sits below average at 87 percent of normal. 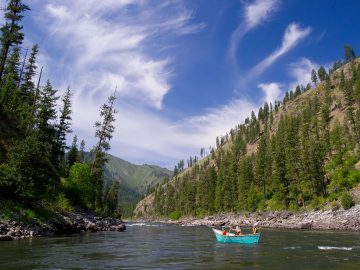 While the length of the season will ultimately be determined by the weather in April and May, paddlers who want to experience this free-flowing wild river should look to early season trips in May and June as sustainable rafting flows may not last into July. In southern Utah, OARS Moab Regional Manager, Seth Davis reports that the snowpack for the Colorado River is currently 70 to 80 percent of average, which means lower flows are expected through Westwater and Cataract Canyons this season. This won’t impact what we’re able to run or the length of the season, which typically goes into October, but Davis points out that rafters can look forward to more “playful flows” and less stressful whitewater conditions than the 2017 season. There will likely be some slightly elevated flows in late May to early June, but “we shouldn’t expect any high water Cataract Canyon this year unless it’s a funny year like 2015 and it rains all of May,” he says. For the Green River through Desolation Canyon, flows are predicted to peak at 12,000 cfs, but upstream releases from Flaming Gorge Reservoir could improve flows there, according to Davis. Still, lower water doesn’t impact the ability to run this super scenic stretch of river and trips are slated to run May through mid-September. On the San Juan River, where the snowpack is below 50 percent of normal, Davis is anticipating a shorter season, especially on the lower stretch from Mexican Hat to Clay Hills, which could become difficult to run by mid-June. In much of California, the prospect of a wet “Miracle March” couldn’t overcome the alarmingly dry conditions in January and February. The snowpack did rebound somewhat but still fell well-below average. State-wide the snowpack landed at 52 percent of normal as of April 2, according to the California Department of Water Resources’ April 2 snow survey report. The silver-lining here is that record snowfall during the 2016/17 winter means that the state’s reservoir levels are almost all above average and will provide reliable and fun flows on several of California’s popular whitewater runs that are dam-controlled. While the 2017 season was another case of too much water at times, OARS California Regional Manager Chris Moore doesn’t expect any crazy high water this year unless there’s a huge heat wave or high elevation rain. Normal elevated spring flows are expected across the board in late April to early May, but lower flows throughout the majority of the season mean we can cater better to rafters of all abilities this year, according to Moore. 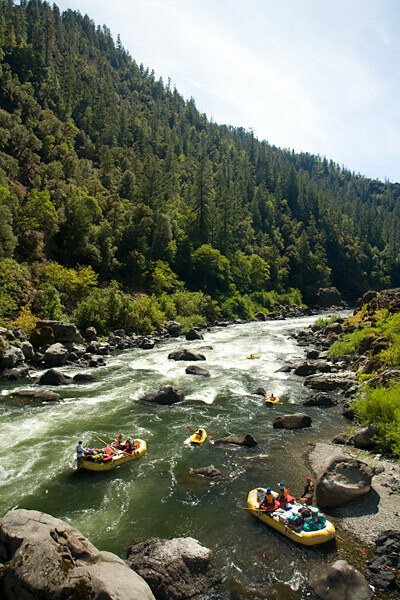 On the South Fork of the American River, which is California’s most popular, family-friendly Class III rafting trip, there will be reliable recreational flows six days per week from Memorial Day through Labor Day. In the meantime, rafters can ride the Sierra snowmelt which is currently providing fun early-season rafting opportunities. 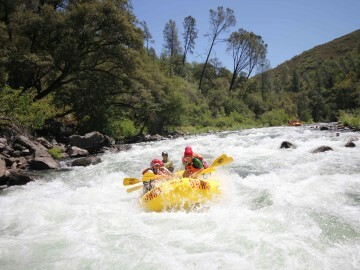 On the more adventurous Class IV+ Middle Fork of the American River, rafters can expect consistent flows seven days per week beginning mid-May through Labor Day. On the Tuolumne River—the state’s iconic Class IV rafting trip just outside of Yosemite National Park—it won’t be quite the rollercoaster season we saw in 2017 and rafters can anticipate a normal rafting season May through Labor Day. More adventurous paddlers should look to trips earlier in the season when anticipated flows up to 3,000 cfs will provide optimal whitewater conditions. Normal family-friendly conditions are also expected on the dam-controlled Lower Klamath River in the northwest corner of the state despite a below-average snowpack in the Klamath River Basin. For some of the state’s free-flowing rivers that depend on well-timed snowmelt, the below-average snowpack means there will be a very short window, if any, for whitewater rafting this season. The Merced River just outside of Yosemite is anticipated to run mid-April through May. Similarly, rafting on the North Fork American River may last anywhere from a few more days to a few more weeks. However, both of these runs are largely dependent on weather. 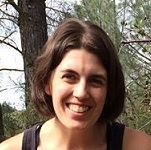 As always, it’s “business as usual” on the dam-controlled Rogue River, reports OARS Oregon Regional Manager Kate Wollney. 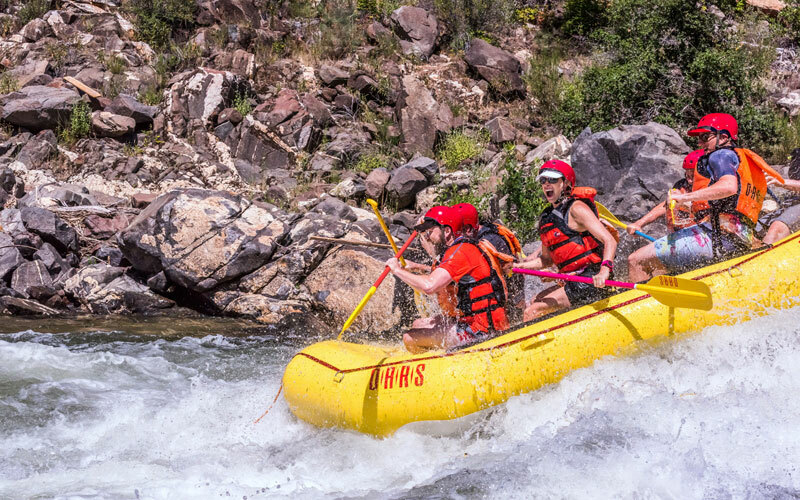 People can count on this southern Oregon favorite for family-friendly whitewater thrills May through September. Folks who consider themselves more adventurous will want to go rafting in May and early June this season when there’s a chance for high water from snowmelt on most rivers. Otherwise, look to dam-controlled rivers like the Snake River in Idaho, or Middle Fork of the American and Tuolumne Rivers in California where reliable flows consistently offer a more exciting experience. 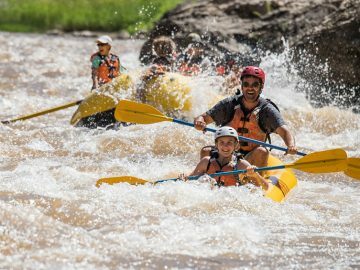 First-timers, laid back vacationers and families with younger children can plan for fun and steady flows throughout the summer, June to early September, on many of the classic Western whitewater runs. The Green River through the Gates of Lodore, the Colorado River through Cataract Canyon and the Main and Lower Salmon Rivers should provide particularly fun water levels for rafters this season.